i swear the span of time between thanksgiving and december 1st gets shorter every year. it's like that short week goes into warp speed..
and then from there life is in fast forward until january 1st when everything slows down again. but nana picked up my slack, because without my knowing it, she picked one up herself! so i'll at least have some elf pictures for you..
i sorta kinda debated on doing a december daily. truth. i've started two in the last 5 years, and haven't finished a single one. it's just too overwhelming for me, with all the holiday festivities. it'll just free me up for some more christmas crafts & baking! i get just as excited about christmas movies as i do halloween movies. because there are some GREAT christmas movies. 1. abc family hosts almost all of our favorites on their 25 days of christmas. 2. we own a dvr. so i've searched & set our dvr to record over the next two weeks..
and since it took a little time to gather our favorites..
i figured i'd share the list with you. i DID NOT however, link each movie like i did at halloween. we started setting the dvr as well, love this list! i'd only say that you left out Miracle on 34th Street, but no biggie! 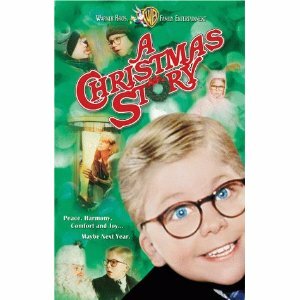 a christmas story and the polar express are the number ones around our house...for sure!!! RALPHIE!!! can't wait to see how you decorate. and how you use your new elf buddy. i considered it but then realized i am committed to my advent calendar and my december daily and mama couldn't do one more thing. you get it. i am promising to take december slow, if you figure out a way to do this before me...let me know, k?